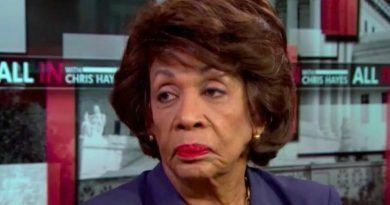 Congresswoman Maxine Waters never misses an opportunity. 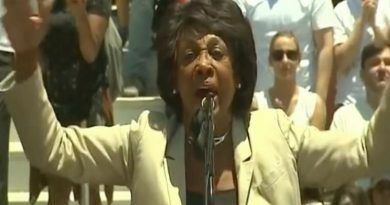 She is out of control and incites violence against conservatives and the President every day! 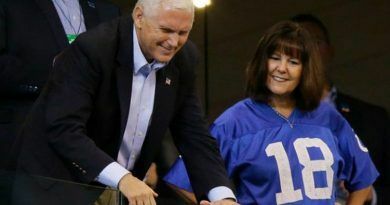 This weekend, while she accepted a ‘Diversity’ award in Washington DC, she went on a warpath against President Trump and Vice President Mike Pence, by encouraging the resistance to “knock off” Trump and then go for Vice-President Pence. The problem with this constant anger, vitriol and “justified” violence is that it will eventually lead to murder. It already has boiled over to that point with the shooting of Rep. Scalise. It was exhibited against police who were assassinated in their squad cars by crazies energized by the BLM movement. It will eventually be aimed at the President, or his family, or administration members. 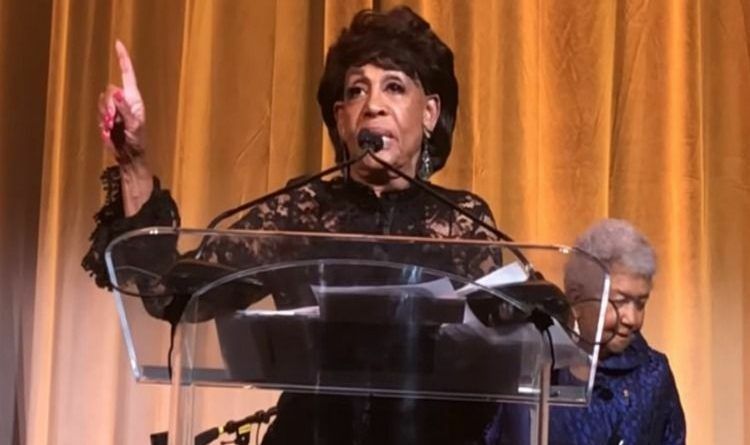 We joke that she is “Crazy Auntie Maxine,” but make no mistake this is deliberate and it is very dangerous. Where is the secret service? Where is the prosecutor? It blows my mind that she can get away with that! Just shows us they are untouchable under this justice system.